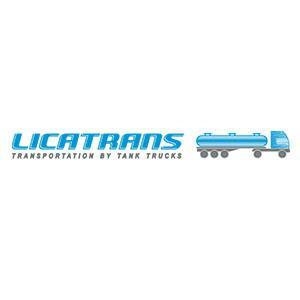 LICATRANS, UAB is a freight forwarding company that carries unprepacked bulk and liquid cargoes in specialized transport, such as tank trucks, tank semi-trailers, containers and silo cisterns, within the entire geographical territory of Europe. The company name itself, which reflects the nature of company activities, consists of three English abbreviations: ‘Licatrans‘ - ‘liquid cargoes transportation‘, which literally translated means ‘the transportation of liquid materials‘. If your company business are related to liquid or bulk cargoes in one way or another, we would like to invite you to cooperate with our company. If you are a manufacturer or trader, we can transport your unprepacked bulk or liquid cargoes in cisterns and in various directions. If you are a carrier or forwarding agent, we can offer cargoes for your tank trucks in different European countries and under favourable conditions.